In an article published by Money Week, award winning wine writer Matthew Jukes described the Louis Roederer Blanc de Blancs 2009 as a “breathtaking beauty of a Champagne”. 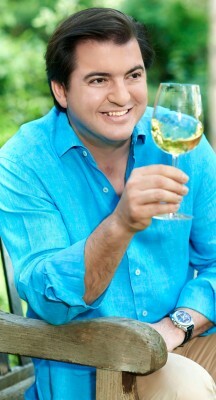 He called the wine “amazing” and was astonished at the beauty and persistence of its “exquisite” perfume. The Louis Roederer Blanc de Blancs is made from 100% estate grown Chardonnay, harvested from the Roederer vineyards in Côte des Blancs Grands Crus. As Matthew Jukes points out, 10% of the wine has been matured in oak barrels and this fantastic wine then spends five years maturing in the Roederer cellar before being disgorged. At six years old the 2009 Blanc de Blancs is drinking perfectly and is the perfect match for oysters, summer salads or langoustines. Contact Marinel for more information about this “breathtaking” wine! The full article can be found on-line here.